The Ministry of Foreign Affairs has described the death of Nigerian ambassador to Sao Tome and Principe, Queen Imaria Worlu, as unfortunate. 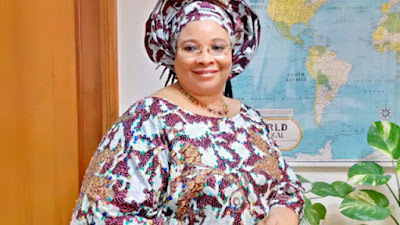 The Ministry’s Permanent Secretary, Olukunle Bamgbose, stated this in a statement made available to the News Agency of Nigeria (NAN), in Abuja, on Wednesday, saying that the ministry received the sad news of her death with pains. “The death of the ambassador is quiet painful,” Bamgbose said. Mrs. Worlu, a career diplomat was said to have died at her duty post in Sao Tome and Principe on Monday July 9. The late ambassador, who was married to Sam Worlu, a former Director General of the Voice of Nigeria (VON) joined the Nigerian Foreign Service in 1987. She was nominated by President Muhammadu Buhari as an ambassador in 2017 and she has served in various capacities in the Ministry of Foreign Affairs including as Nigeria High Commissioner to India. Worlu, also served as Consular Officer in Nigerian Embassy in Lisbon, Portugal, and has actively participated in United Nations Peace Keeping conferences and Workshops in Ghana, Liberia and Sierra Leone.